Got your hat, sunnies, SPF30 sunscreen? These are facts of life for Australians heading out in the sun as they protect themselves from skin cancer, premature wrinkles and age spots! Australians prepare themselves for the sun on a daily basis. They enjoy an active, outdoor lifestyle of outdoor sports and activities, as well as gardening and beach days. In the same way as those in colder climates prepare themselves to go outside in the winter, even if you are just running an errand or having a short walk you need to be prepared! Australia’s sun drenched and beach loving culture means the country’s 25 million people are 13 times more likely to develop skin cancer than the global average. Australia has the globe’s highest rate of deadly melanoma and one of the highest overall rates of cancer. In 2018 it is estimated that over 14,000 new cases of melanoma skin cancer will be diagnosed. The sun in Australia is brutal and approximately two in three Australians will be diagnosed with skin cancer by the time they are 70, with more than 750,000 people treated for one or more non melanoma skin cancers each year. Each year over 2,000 Australians die from what is an almost totally preventable disease. The Ozone layer acts as a sunscreen to Earth, filtering ultra violet radiation from the sun. In Australia the ozone layer is compromised with its proximity to the South Pole’s seasonal ‘ozone hole” making the ozone layer really thin over Australia and making Oz the skin cancer capital of the world! 1. 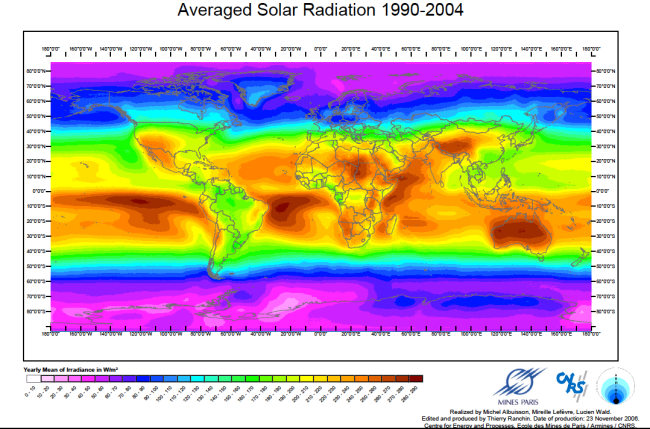 The Power of Solar Radiation- hole in the Ozone layer! By looking at the dark red areas, you can see that the power of solar radiation is greater in Australia than any other country! 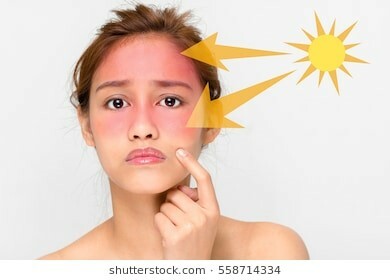 Solar radiation includes not only visible light but also infrared radiation responsible for heat and temperature as well as the dangerous ultraviolet radiation that is responsible for sunburns. 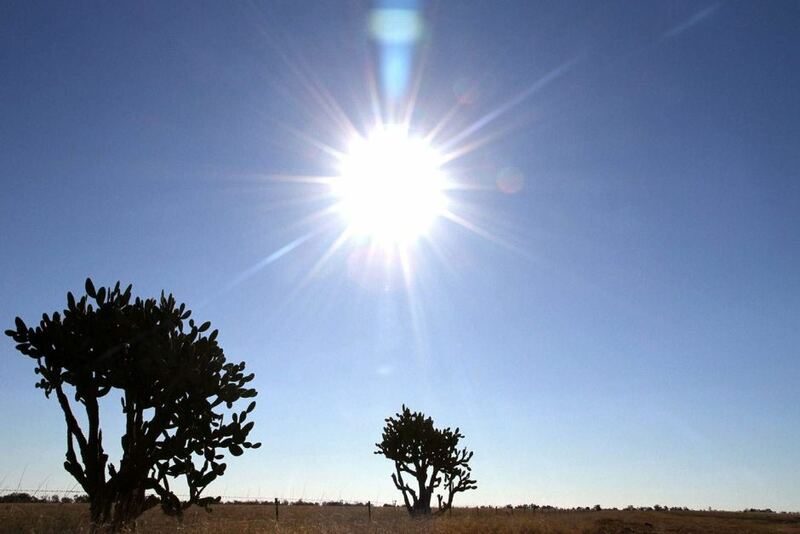 Australia has a large number of sunny days, 246 days of sunshine on average. It is located near the Antarctic ozone hole, where there is a severe thinning of the ozone layer each spring. With Australia’s proximity to the Antarctic, the risk of more severe UV radiation getting through to ground level increases. This means that the more damaging UV rays come through the atmosphere, creating a high UV index and causing harm to unprotected skin. The depletion of the ozone layer is directly related to making people susceptible to developing melanoma and the growing numbers of other skin cancer cases. The risk is greater in summer where the Earth’s orbit brings the Southern Hemisphere and Australia closer to the sun, compared to the Northern hemisphere. Factors such as where the sun is positioned in the sky, altitude, ground surface reflectivity (snow, water, sand) and cloud cover are just a few variables that affect how much UV radiation your skin is exposed to. The Sun’s UV has also the ability to diffuse, so even if there is shade, large sections of sky that do not have cloud cover, have the ability to reach your skin. Sunlight is made up of two types of harmful rays: long wave ultraviolet A (UVA) and short wave ultraviolet B (UVB). UVA penetrates deeply into the skin, into the dermis, causing genetic damage to cells, photo-ageing (wrinkling, blotchiness) and immune-suppression. UVB penetrates into the top layer of the skin the epidermis, causing damage to the cells. UVB is responsible for sunburn and reddening – a significant risk factor for skin cancer, especially melanoma. Skin cancer develops in the cells in the top or outer layer of the skin called the epidermis. If the body is unable to repair this damage the cell can begin to divide and grow in an uncontrolled way. This growth can eventually form a tumour. UVA and UVB both contribute to sunburn, skin ageing, eye damage and melanoma and other skin cancers. The ‘healthy glow’ associated with a tan is not so healthy after all! Many people think that they look better with a “healthy tan’ and this encourages harmful habits when outside. It is a myth that it is safe to tan as long as you don not burn. Any method of tanning that involves exposing the skin to UV radiation will cause skin damage. The more your skin is exposed to UV radiation the greater the risk of skin cancer and the quicker your skin will age. The top layer of skin, which gives skin its natural colour, has skin cells which produces a pigment called melanin. Melanin acts to absorb UV radiation before it can damage skin cells. When these skin cells are exposed to UV radiation they produce more melanin causing the skin’s pigmentation to darken. This ‘tan’ is a protective response to UV induced DNA damage, so a tan is a response to excessive UV exposure and is therefore a sign that UV damage has occurred. 4. What is sunburn? – are you in denial about what happens to your skin? You cannot see or feel UV radiation and even on a cloudy day, it can pass through light cloud cover. The environment of sand, water and snow also causes UV to reflect increasing your chances to be exposed to UV radiation. The amount of time it takes to be sunburnt depends on your skin type as fair skin will burn faster than dark skin. People with dark skin that tans easily have some natural protection against UV radiation but if they are not using sun protection when UV levels are high they will still damage the skin. Sunburn happens when the amount of UV radiation your skin is exposed to is more than its ability to protect itself with melanin. Within hours skin that has been sunburned turns red and will continue to develop for the next few days. The redness is caused by the extra blood capillaries. The signs and symptoms of sunburn usually manifest as pain and your body’s attempt to repair the damage caused by the burn. Most people who have been burnt start peeling. Peeling is the body’s way of shedding dead and damaged skin cells and making way for the new skin underneath. This is necessary because sun damaged cells are at risk of becoming cancerous and even though new layers of skin form some damage remains, and there can be an increased risk of skin cancer. Even though sunburn fades, long term damage to skin cells remain and UV damage is responsible for 90% of visible age signs like wrinkles. Plus the truth is, that a person’s risk of the most serious form of skin cancer – melanoma doubles if they have had five or more sunburns in their life! Skin cancer is the uncontrolled growth of abnormal cells in the skin and occurs when the skin cells are damaged by, for example, overexposure to UV radiation. BCC commonly develops on areas of the body that receive high sun exposure, for example head, face, neck, shoulders, back, lower arms and lower legs. It may appear as a pearly coloured lump or slightly scaly area that is bright pink or shiny and pale in colour. The area may bleed and become inflamed. Some BCC’s heal and become inflamed again in a 3 month cycle. BCC does not usually hurt, but it may itch. It is usually grows slowly and rarely spreads to other parts of the body. The earlier a BCC is found, the easier it is to treat. If left untreated it can grow deeper into the skin and cause damage to nearby tissues, making treatment more complicated and increasing the chance of it coming back. SCC usually develops on areas of the body most exposed to the sun. It may bleed and become inflamed and be tender to touch. It may appear as a thickened red, scaly or crusted spot or rapidly growing lump and may look like a sore that has not healed. SCC usually grows quickly over a few weeks or months and may spread to other parts of the body if left untreated. SCC on the lips or ears is more likely to spread and should be seen by a doctor as soon as possible. Bowen Disease is also called squamous cell carcinoma in situ. It most frequently looks like a persistent red scaly patch that slowly grows over time. It most commonly appears on areas highly exposed to sunlight such as face, neck chest arms and legs. It can also appear on the lips, inside the mouth and the genital area. In these cases it could appear as an ulcer or a thickened scar. Bowen’s disease often has no symptoms or may be mistaken for other skin conditions such as psoriasis, fungal infection (tinea) or dermatitis meaning there may be a delay in treatment and may develop into the more invasive skin cancer SCC. Australia has the highest incidence of melanoma in the world! Including non-melanoma skin cancer (SCC and BCC), melanoma is the third most common cancer in Australians. Melanoma can often appear as a new or existing spot on the body that changes shape or size over several weeks. The colour can also change and the spot may be brown, black, red, pink, light grey or white. It often has an irregular edge and a flat or raised surface. It can appear as spreading of dark pigment from a mole and usually occurs on skin that has been exposed to sunlight. It may also appear as a firm bump or a dark stain with an uneven border on the face or arms. The earlier melanoma is diagnosed the more successful the treatment is likely to be and the better the chance of avoiding surgery or in the case of a serious melanoma, potential disfigurement. Left untreated melanoma may spread deeper into the skin where it can be carried to other parts of the body via the lymph vessels or blood vessels. Melanoma can cause death as it spreads to the lungs, liver, brain and bones. The earlier skin cancer is identified and treated the better the chance of avoiding surgery. Go to a doctor who is trained to spot skin cancer, at least once year if you are living in Australia. A doctor can advise you about your level of risk and for early detection. It is best to be familiar with your skin, and check your skin regularly, so that you can spot any changes to show your doctor. • Small lumps that are pearly, pale or red in colour. 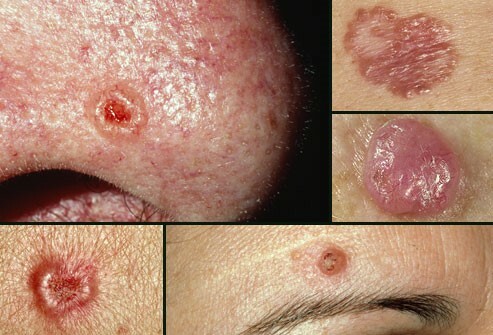 • Crusty or non-healing sores. • New spots or freckles. • Moles that are changing in colour, shape or thickness over a few weeks or months. Skin cancers are removed either by a General Practitioner, dermatologist or surgeon. Skin cancers may be removed using surgery or by using liquid nitrogen to rapidly freeze the cancer off, scraping or burning. In more advanced skin cancers some of the surrounding tissue may also be taken out, to make sure all the cancerous cells have been removed. Some may need more specialist attention and can be treated with ointments or radiotherapy. 6. Genetics – heritage plays a role in skin cancer! Many Australians are descendants of British and European colonists who came to Australia in the late 18th Century and consequently there are a large proportion of fair skinned people in Australia. Our body’s natural protection from UV radiation needs melanin and light skinned people have less melanin in their skin. This European and Anglo-Celtic heritage leaves skin poorly adapted to harsh conditions of the high solar radiation in Australia and people are at higher risks of developing skin cancer. People who carry a genetic variant common to redheads may be more vulnerable as they carry a gene variant in their DNA. Genetic mutations occur at a rate of 42% greater than those people who do not carry this genetic variant increasing the effects of sun damaged cells. Blondes and light eyed beauties are also most at risk to skin cancer too! Whilst it is less common in Olive or dark skinned people, it is often diagnosed at advance stages so much harder to treat! For the culture of beach going Australians and visitors, what makes a difference to survival of skin cancer is early detection and treatment. Learning to have sensible sun exposure and regular skin check-ups, means it is possible to prevent skin cancer from affecting your skin. 7. What is the Ultra Violet index? The UV index is and international standard measurement of the strength of Ultra Violet Radiation from the sun on the ground at a certain time. It is a very important measurement to inform people of the risks of exposure of excessive amounts of UV radiation. The measurement takes into account cloud cover and other environmental factors. The Bureau of Meteorology Australia have a network of UV detectors in cities around Australia. The UV data is collected continuously by detectors which respond in a manner similar to human skin and update the chart every minute. They calculate the predicted value using models in computers to align date, time, latitude, temperature and most importantly for Australia the ozone content. The exposure categories are based on the skin’s response of fair skinned people exposed to UVR. As the UV Index increases the hazard increases. Watch the clock and the UV index! UV levels 3 and above means you require extra protection! 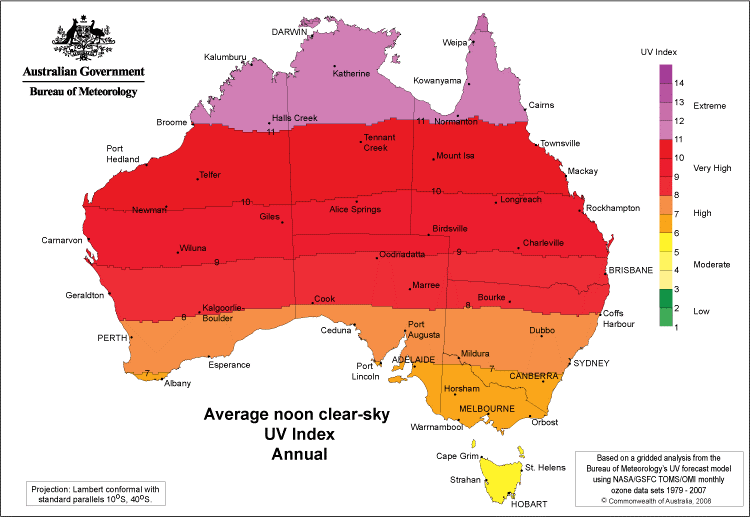 There are UV alerts in some states including Queensland and the Northern Territory which have an extreme UV index for several hours in the day. You can go to http://www.bom.gov.au/uv/ to check the index for the area you are in and seek shade whenever you can in these areas. CLOTHING protects the body from the sun’s harmful rays. All fabrics filter some UV radiation but if needed you can buy clothing that has an Ultraviolet Protection Factor (UPF) and is engineered to protect against UVA and UVB rays. This is especially important for sun-sensitive travellers and children who need more than the minimal protection that a cotton T- shirt can offer. 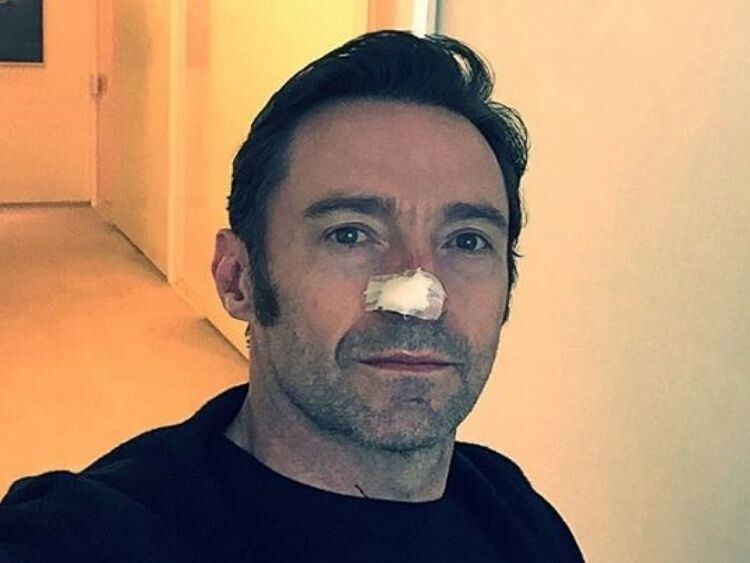 SUNSCREEN only works when applied correctly. • Apply every 2 hours or right after a swim or sweat session! • Rub in the sun cream fully. Seek SHADE whenever you can. Even bring an umbrella to use! Protect your EYES with wraparound sunglasses or sunglasses that fit your face well. There is well established evidence that exposure to UV radiation from the sun can lead to eye damage. Look for sunglasses that protect you from 99 to 100% of both UVA and UVB rays. Also sunglasses with polarisation will cut down on glare. Be wary of fashion sunglasses with only tinted lenses and no UV protection. Sunscreen is one of the best methods of protecting your skin from the sun and by living in Australia you gain a pretty unique understanding of its value. The purpose of sunscreens is to reduce UVR exposure, not to extend the time spent in the sun. Depending on the type and brand sunscreens can either reflect UV rays or absorb rays from the sun keeping your skin cells safe from harm. In Australia sunscreens can only be sold if they are listed on the Therapeutic Goods Register (TGA) of Australia. They must be compliant with the Australian Standards for sunscreens. Sunscreen active ingredients and maximum concentrations have to be approved by the TGA as safe and effective. UVA rays occur almost all the time and generally cause tanning while UVB rays are dependent on time and location. The Australian Standard for sunscreens allows a Sun Protection Factor – SPF rating. A rating of SPF 30 will filter 96.7% of UVR, with a marginal increase of 98% for SPF 50 filters. Sunscreens are labelled up to 50+. The recommendation is to choose a waterproof sunscreen of SPF30 or higher which is Broad Spectrum, rather than regular spectrum, which filters out both UVA and UVB rays. Sunscreens can be purchased as a lotion, cream spray or gel. They can either be chemical sunscreens which absorb UVR or physical sunscreens which reflect and scatter UVR to protect the skin. So many of us think about getting our skin checked, but following it through does not always happen! By adding an App to your phone, when something on your skin is concerning you, the App will let you know if you need further consultation. The Apps work by uploading a photo of the skin condition and paying a small fee for a consultant to get back to you within a short time frame. In addition, Apps are able to help the user to compare photographs of moles over time and a change to an existing mole or the appearance of a new mole. They may also give a general education and information about melanoma and how to examine your skin.